Do you have a chipped tooth? Most people will seek treatment for chipped teeth in order to enhance their smile. What they don’t know is that the chipped tooth not only has cosmetic impacts but also functional effects. 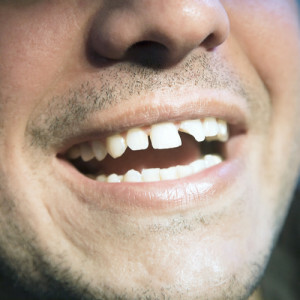 When a tooth is chipped, it means that you have lost some of its structure. It could also mean that you have created room for more chips and cracks on the same tooth. The type of treatment needed will depend on the intensity of the chip or crack. There are multiple treatment options covered in family dentistry for chipped teeth. For instance, if the tooth has chipped close to the pulp, you may need to have a root canal treatment. Dentists also use modern bonding techniques to repair chipped teeth. In this case, tooth colored filling materials are used to give the tooth a natural and better looking appearance. If the chip is large and you have lost a lot of tooth structure, other forms of treatments such as dental crowns and veneers may be recommended. It’s very important to have the chip or crack evaluated by a dentist Richmond Hill in order to determine the best form of treatment for it. Composite resins are often used by dentists to replace the missing tooth structure. They are colored tooth fillings which are designed to resist wear and appear translucent. Composite resins are strong and come in different types and brands. There are those that are designed for the biting areas whereas others are perfect for the front teeth to improve esthetics. Composite resins can be made to mimic the natural appearance of teeth. They are made using different colors so that they can match the existing teeth. Modern general dentistry has introduced technology that has made it possible to have composite resins that look lifelike and very natural. The other advantage is that composites are very easy to install. You can have them placed quickly and relatively inexpensively. This is because there’s minimal tooth preparation required when it comes to composites. The composites are bonded directly to the tooth so there’s often no drilling that is required. Composite resins used to repair chipped teeth have their drawbacks too. When you have lost too much of your tooth’s structure, composites may not offer the best solution. The composite material is not as strong as the tooth structure that it is required to replace hence doesn’t work effectively for patients who have lost a lot of tooth structure due to an injury or decay. If the dentist uses a large bulk of the composite material, it may not be able to withstand biting force over time. Composite resins are also prone to staining or getting dull with time. What most dentists recommend is to have the composite resin temporarily and replace it with a porcelain restoration which is a better long term solution for chipped teeth. To prevent teeth from chipping or cracking due to injury, visit a dental office Richmond Hill to get a suitable mouth guard that you can wear when participating in sports or any other activity that puts your teeth at risk.